Tony Covena, kende een lastige wedstrijd, hoewel hij tijdens de kwalificatie op zaterdag wel z’n snelle ritme van eerdere races terugvond. Maar na een lastige start vond Covena zichzelf terug buiten de top-20 en kende vervolgens veel problemen met het inhalen van andere rijders. Daardoor kwam hij niet verder dan de negentiende positie. 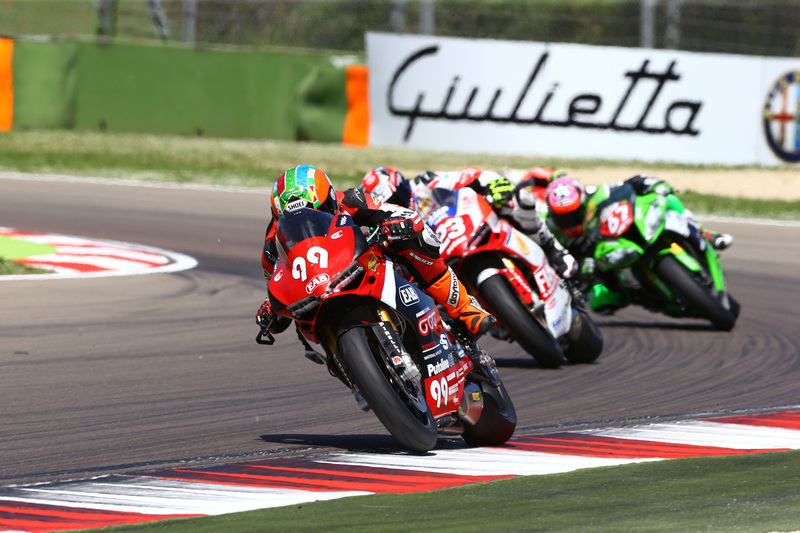 De volgende FIM Superstock 1000 Cup-race wordt op 20 september in Jerez verreden. Tony Covena had a weekend with challenges. During qualifying he was hit by another rider and therefore he had a few problems with movement because of pain in his arm, wrist and ribs. Having to start on 18th spot on the grid the Dutchmen started of well but was forced to go straight after 2 laps at the first corner. Covena ended his race on a 30th place. 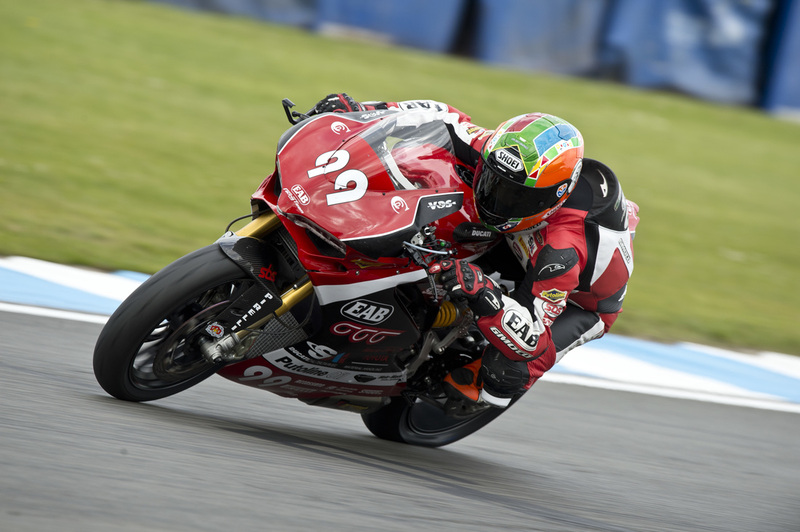 EAB Racing rider Tony Covena finished another top-10 result at the fourth Superstock 1000 FIM Cup race at Donington Park. The Dutchmen finished the race in tenth after an incident-filled race. Covena was fifteenth after the first lap, but managed to fight forward. At the end he had a classic duel Donington Park in the last two hairpins. Unfortunately it did not work out for Covena to overtake Luca Salvadori in the last corner. 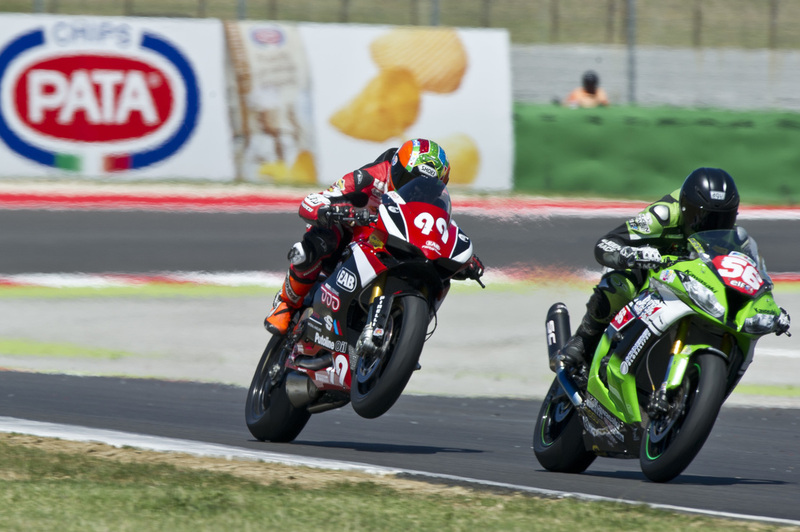 Tony Covena: "To be honest, I have more or less the same feeling as after Imola. My result, tenth is not bad but I still feel we could do better because the bike was very good. Unfortunately I got halfway through the race when I got problems with my arms and I had to slow down my pace. At the end I tried to pas Salvadori, but after a mistake from him in the Melbourne hairpin he kept the door firmly shut in Goddards and I just missed out on ninth. " Also his team mate Tony Covena impressed a lot during the hectic race. The Dutch rider had to start from twelfth after a hard first day but had some good fights with very experienced Superstock 1000 riders. In that last lap he had the plan to overtake Jeremy Guarnoni but the EAB Racing Team rider just missed out on that chance and took his first top 10 score of the year.